The quest for a rototiller off of Craigslist was a bit of a wild goose chase today. Nevertheless, all that time in the car was good for something – I finally attacked my compost fears and have made some decisions. Thanks to Ken Thompson’s book, Erik’s explanations, and the internet's endless supply of information. First, I took my fear and broke down the mystery that was causing me to abandon my composting efforts before I’d even gotten underway. My patience and willingness to entertain scientific discussions has grown since I started dating a scientist, but I still struggle with dense material (hence, the flip book, which despite being populated with a myriad of pictures, actually had TONS of information). 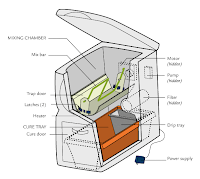 I realized that rather than wade through a series of discussions on the science of composting, I had four questions I needed answering: 1)structure 2)ingredients 3) maintenance 4)distribution. Though I know some people are successful with somewhat open composting stalls or bins, my house is on a corner and my alley is highly trafficked by myself and my two neighbors. Using an open composting pile has worked for some of my friends in Missoula, so it can definitely be done. But, I just don’t think it will work on this lot. Mr. Thompson had lots of compelling reasons why spending the $$ on a container is worth it. So, I have decided to go with a container. What goes in? Coffee grounds; old cotton, silk, or wool clothing (torn up); eggshells; floor sweeipings; hair and nail clippings; paper and cardboard; tea bags; vacuum-cleaner dust; and vegetable waste. What stays out? 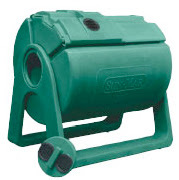 Cat or dog litter, dairy products, disposable diapers, fish and meat waste, oil or fats. So, the above list is mostly specific to things that have ended up in my garbage before. There are other things on Ken Thompson’s list, but you can go check out the book from a library to find out what they are! Also, I think I might end up putting meat scraps in there. I have them so infrequently that I don’t think it will be a problem. The only reason they’d be a problem is if we had rats/mice in the neighborhood – I’m surrounded by feline owners and not at all worried. There are some specifics on cardboard that I could mention, but I’m beginning to bore myself… I’ll just say that I have plenty of shredded documents which will be helpful to keep the compost aerated and give the resulting soil some structure. Apparently waxed paper is fine, but that weirds me out a little bit. Since I have no inkling of the names of diseases, molds, fungi, or insect damages, I’m not going to memorize Ken’s list of what’s acceptable in the composter and what’s unacceptable. If it doesn’t look happy and healthy or just plain dead, it’s not going in the composter. Interesting thing: compost activators add or make up for a deficiency – usually in nitrogen. Cheapest and best of all activators? Human urine. Hmph. How ‘bout that? There’s a certain balance to be achieved in nitrogen-content and texture, but I’ll muse on that later when I’m actually attempting the compost thing. The next two questions I can answer in one sentence: turn once a day and spread like mulch when it looks good. Finally! The easy stuff! 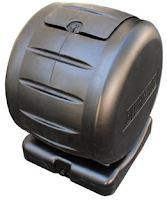 What about the Urban Compost Tumbler? 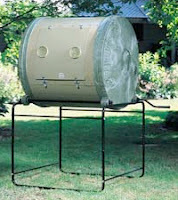 I bought mine last year from www.organic-composter.com and I love it. 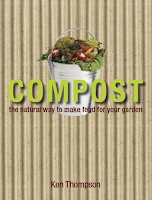 I did some extensive research when I bought mine and I always found faults with most composters.